Parrot has launched its first dedicated games for the AR Drone 2.0. 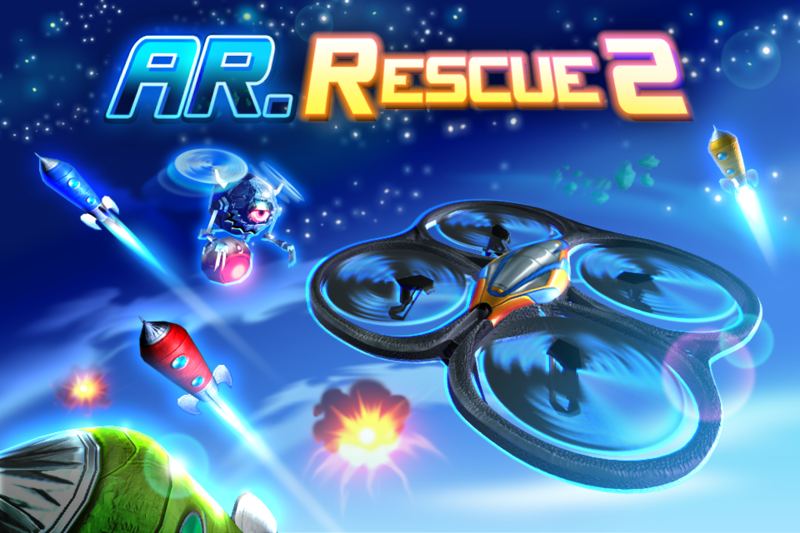 AR.Race 2 is a single or multi-player racing game and AR.Rescue 2 is a single player game, with the Drone pilot’s mission to save a stranded spaceship and send it back home, all the while battling against obstacles and hostile monsters. Both games allow Drone pilots to compare their scores and times against others around the world, bringing another level of competitiveness through the AR.Drone Academy. Full release below with a couple of images attached – let me know if you need anything else. Need an adrenaline shot? Crave new challenges? Discover two augmented reality games dedicated to the Parrot AR.Drone 2.0 quadricopter and connected to the AR.Drone Academy, allowing you to compare your scores to competing pilots from the community. Create giant race courses with AR.Race 2 or be part of a futuristic quest with AR.Rescue 2. May the best pilot win! – Select a gaming zone; eg your house, your garden, a forest… Every part of the environment (walls, furniture, trees…) can become part of the game as potential obstacles. 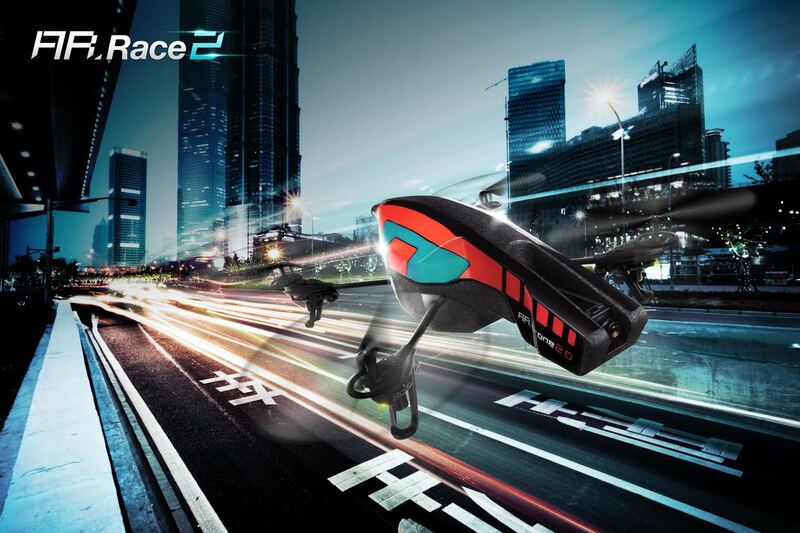 – Create a course and indicate the starting/finishing line by placing a tag on the ground that will be recognized by the embedded vertical camera of the Parrot AR.Drone 2.0, allowing players to record race times. Compare your scores with the rest of the pilot community by connecting to the AR.Drone Academy. An alien rocket has crashed. Survivors have to find every part of the spacecraft to rebuild it and go back home. But they need your help! 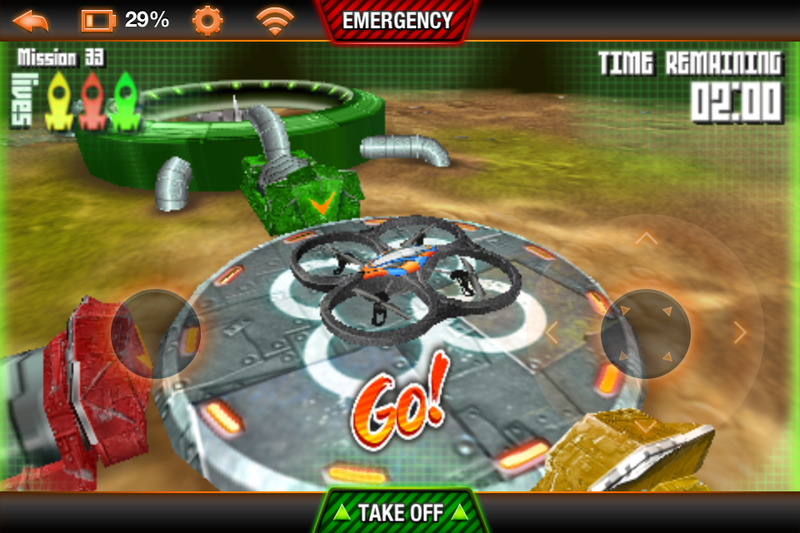 Piloting a Parrot AR.Drone 2.0, you will go through four augmented reality worlds (10 levels each) and collect, one by one, scattered pieces of the spacecraft. But be careful! Crunchers, little monsters who will devour scraps of metal, are looking for you and will do everything they can to stop you … Get your laser weapons ready, keep your head and be prepared for a long fight.